Botswana is without a doubt one of Africa’s best kept secrets. 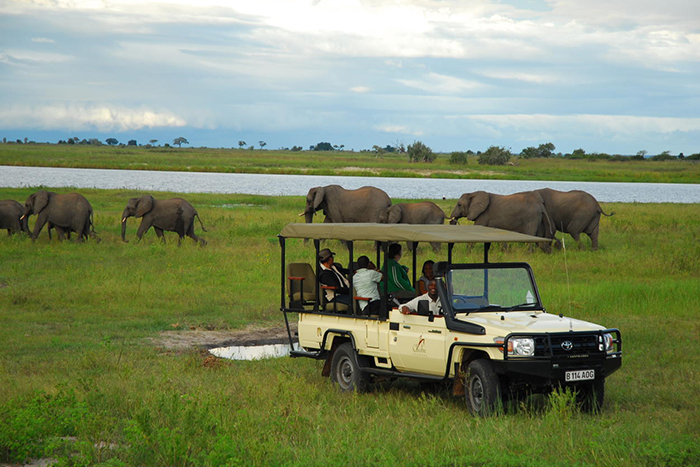 Its two big rivers, the Okavango Delta and the Chobe River serve as a boundary to an abundance of wildlife. It is most definitely the place to go if you want to see The Big Five and if you don’t feel like fighting with lots of other tourists! Here are just a few of the many reasons why beautiful Botswana should have a spot on your bucket-list. Botswana boasts breath-taking landscapes and untouched wilderness. The Okavango delta also known as the “Jewel of the Kalahari” is the world’s largest inland Delta (approximately 15000 square kilometres. )This tranquil haven is home to a magnitude of lush plants and a staggering array of wildlife and birds. Chobe is truly a magical place and home to Africa’s largest Elephant population. Cruise down the river at sunset and marvel at the lavish vegetation, vibrant birdlife and infinite animals. Yearly Zebra and Antelope migrations are a real spectacle to witness. An encounter you will never forget and definitely something for the bucket list. Few safari lodges and a low impact tourist policy mean that the country has not been overrun by tourists. Most of the safari lodges are small (and often) luxurious providing a very intimate, authentic experience. Botswana has a unique semi-desert of approximately 50 000 square kilometres. Stark and arid, its beauty is certainly is one of a kind. Botswana Is one of the few places left in Africa that you can go on safari and get up close and personal with wildlife in an old-fashioned houseboat, speedboat or canoe. Botswana is a true pioneer in ecotourism and is wholly committed to wildlife and nature conservation. The locals are amazing and their kindness and warmth is contageous. They are respectful, gentle, considerate and passionate about their country. You feel instantly at home amongst them! Don’t waste any time! Contact us now and let us plan the perfect luxury Botswana safari for you.